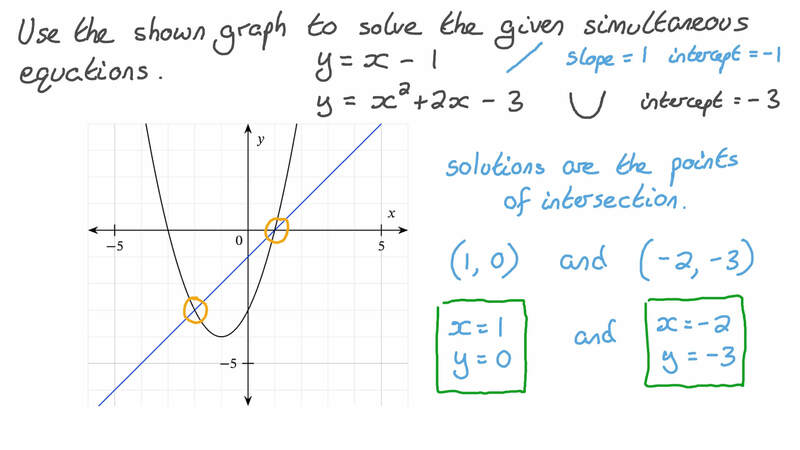 In this lesson, we will learn how to solve a system of two nonlinear equations or a linear equation and a nonlinear equation. 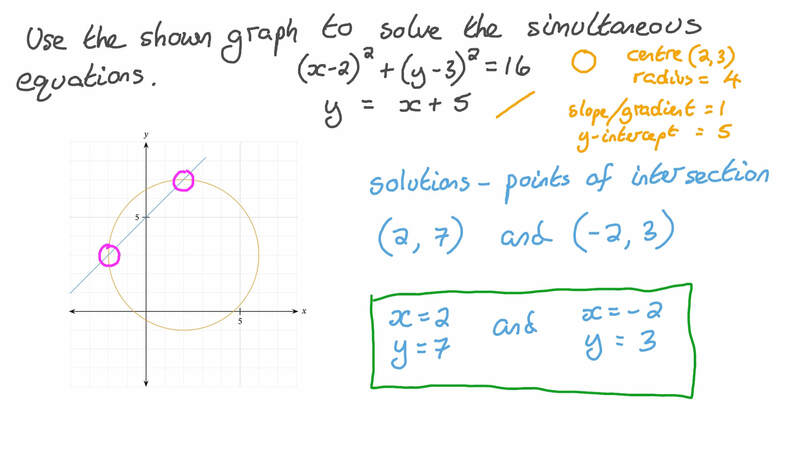 Use the shown graph to solve the given simultaneous equations. 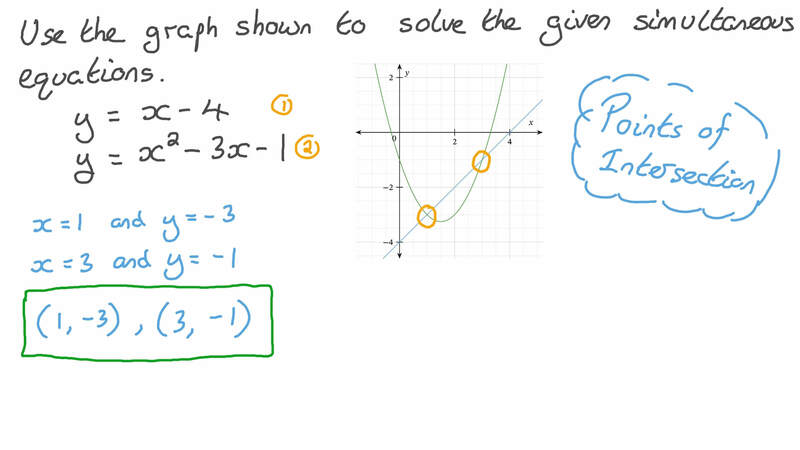 Given that the simultaneous equations are graphically represented in the figure, solve the two equations and find the most accurate estimations of 𝑥 - and 𝑦 -values.